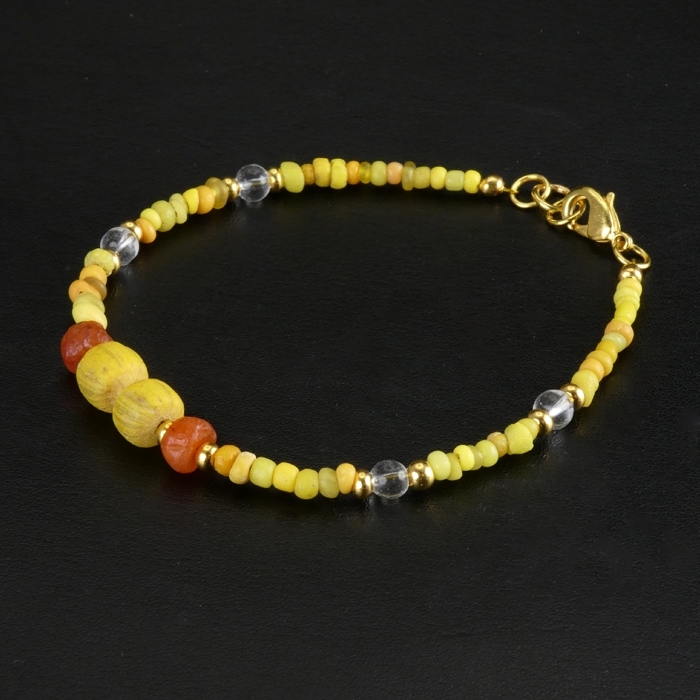 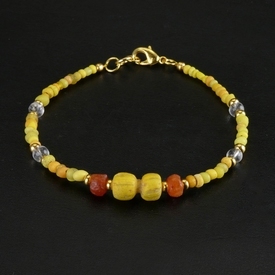 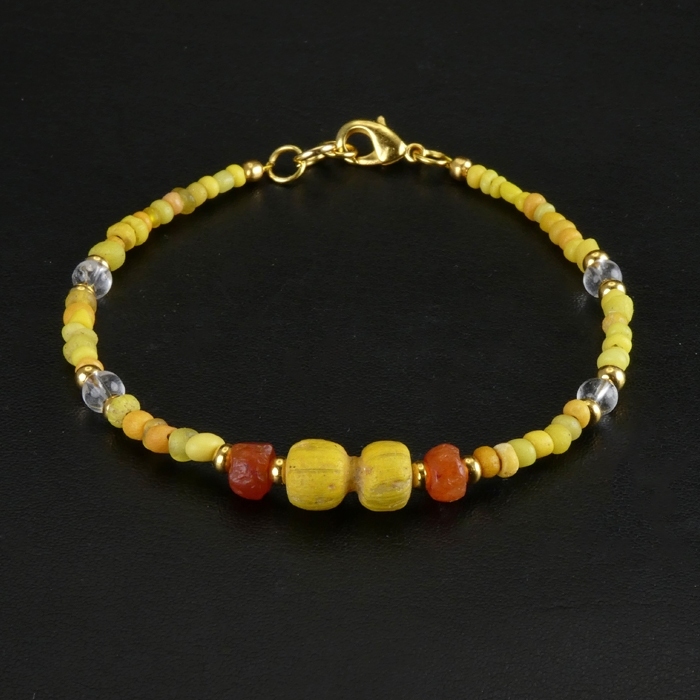 Bracelet with Roman yellow glass beads. 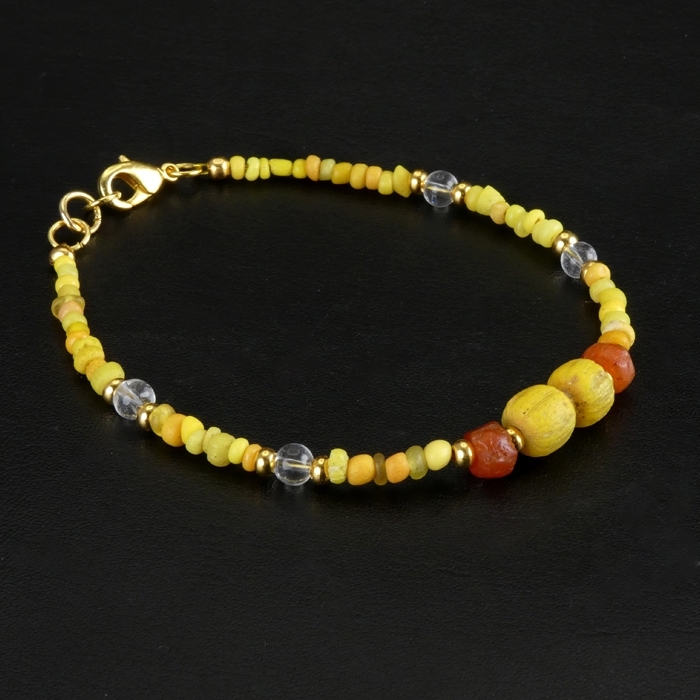 The centrepiece is a rare double yellow glass bead, flanked by two carnelian beads. 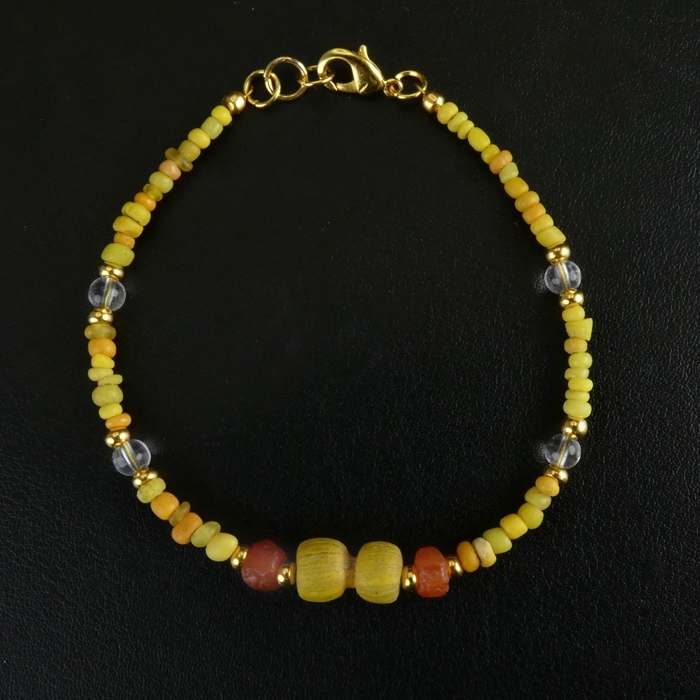 Restrung using authentic Roman beads with decorative spacer beads and wearable (clasp).